Chinese social media is more than a platform for socializing and entertaining. It is full of business opportunities. It helps brands reach a mass audience and establish their brand image. With social media, brands can understand the needs of local customers and build connections, deliver the right message to the market, test whether their products are welcome, boost sales and ensure sustainable brand development. Hence, social media accounts for brands are as important as a business branch. On the other hand, it’s also easy for brands to make mistakes on social media because just one sentence or a short scene in a promotional video can ignite public anger and attract tons of criticism. This article will illustrate five common mistakes that can damage a brand’s image and cause a drop in sales. Here’s what not to do. PR crises are not uncommon in recent years. Brands are expected to handle them sincerely, wisely and promptly, otherwise their brand image can be severely harmed. When facing a crisis, some companies just remain silent or shirk their responsibility. They ignore and delete the negative feedback from users and issue an impersonal response in an official-sounding tone. Not only do they fail to resolve the crisis, they intensify public discontent. 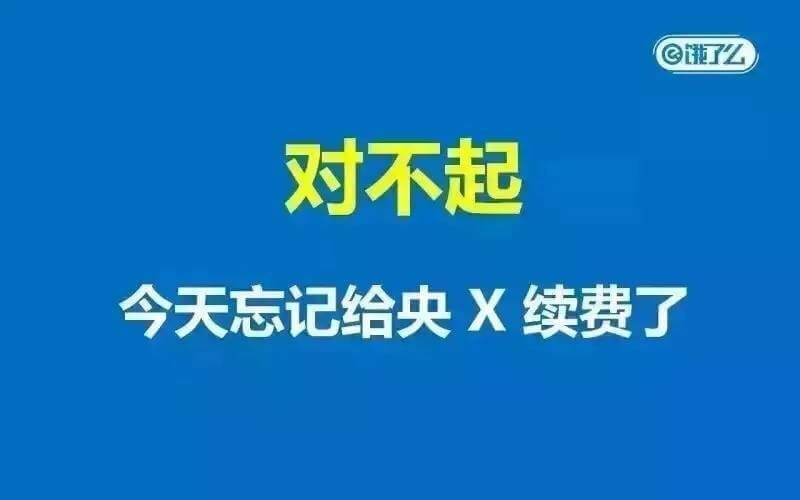 ele.me (饿了么, which literally means “Are you hungry”), the Shanghai-based online food delivery service backed by Alibaba, Tencent and JD.com, was singled out on CCTV’s annual “3.15” investigative show in 2016, for allowing stores without proper licenses to register and allowing unqualified workers to deliver potentially unsanitary food to its customers. The platform was subsequently fined 120,000 yuan by Shanghai supervision authorities for violating food safety laws. 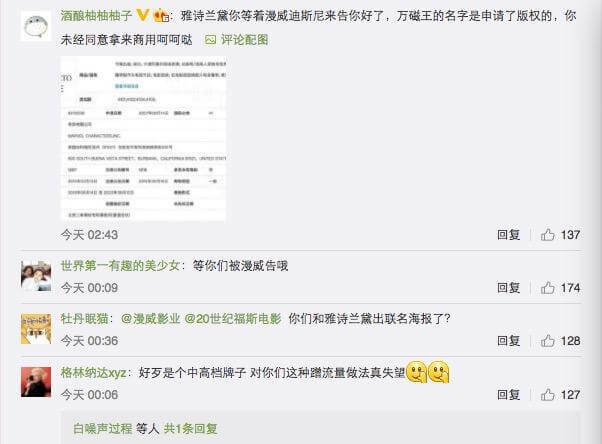 After the problem was exposed, a senior marketing manager of ele.me posted on Weibo, “joking” that they had forgotten to pay CCTV “not to expose them”. Although the post was deleted, it still aroused anger and criticism among Chinese netizens, who left negative comments under the posts for ele.me’s official Weibo account. Some of them even designed a poster with ele.me’s logo and words that read “Sorry, we’ve forgotten to pay CCTV today”, which went viral on WeChat Moments. According to a survey conducted by Sina News after the incident, 75% of users expressed concern about using ele.me. Local authorities strongly condemned ele.me for not admitting fault and refusing to apologize. Finally, ele.me published an announcement stating that they were responsible for the problems exposed and would take immediate action to remedy them. Nevertheless, due to WeChat system updates, some of these special tools broke down temporarily on September 28th last year. 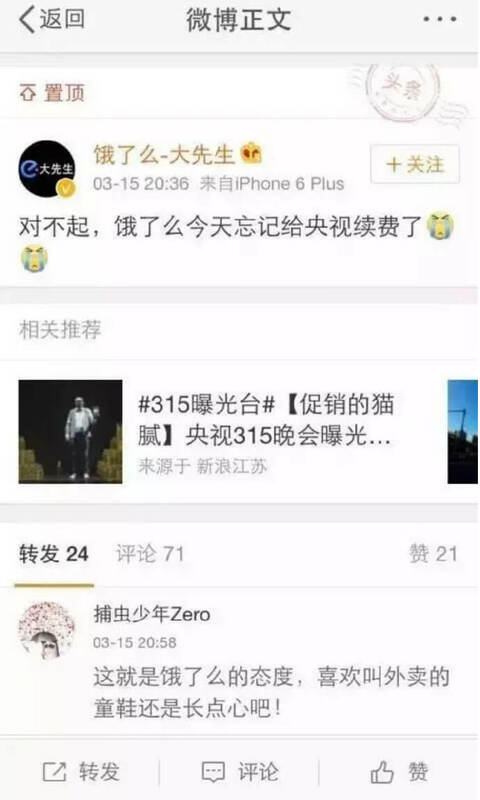 Various official WeChat accounts were found cheating on article views. There was a huge gap between the number of article views of previous articles and the newly-published ones. The next day, Tencent Technology listed eight official accounts they suspected of click fraud, including TripAdvisor and several big KOLs. 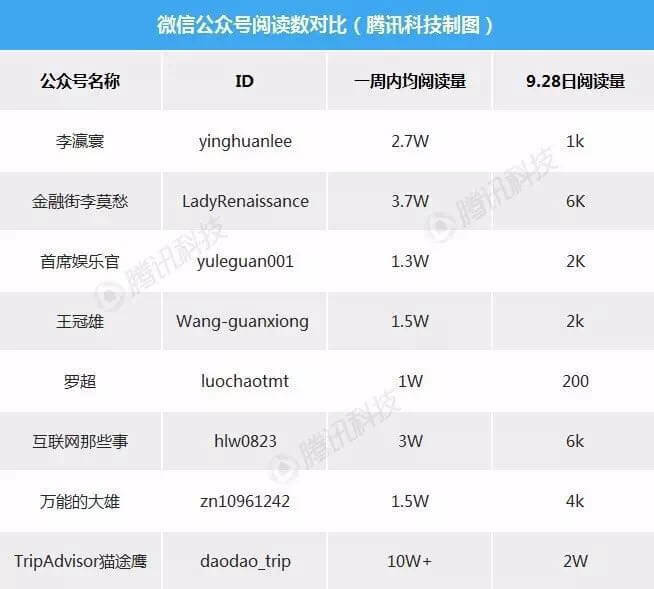 ↑ The apparent data of articles published by some popular official WeChat accounts vs the real number of page views on September 28th (Source: Tencent Technology) Many users applauded WeChat’s action to crack down on such practices. Yet, there are still endless ways to cheat and it’s no secret that interactions and comments are for sale on Taobao. KOL engagement contributes greatly to credibility, media exposure and enables a wider reach to potential customers. However, KOL promotion may pose a risk if the brand never conducts in-depth research on KOLs before reaching out for cooperation, or fails to check whether the KOL’s audience and personal image fit the brand itself. Careless selection may result in a target audience mismatch and brand image degradation. PG One is a Chinese rapper and has become well-known after participating in the popular reality show The Rap of China. PG one is a fan of Marvel movies and has given himself the nickname “Magneto (万磁王)”, the name of a fictional character in the X-Men series. His fans also call him “Magneto” from time to time. 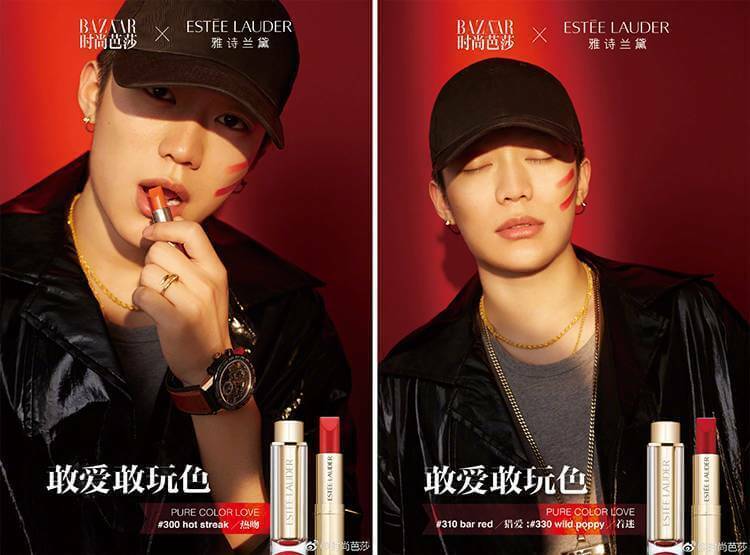 Recently, Estée Lauder cooperated with PG One for the promotion of its latest lipstick series. The ad soon aroused questions among Chinese netizens. First, the cosmetics brand used “Magneto” to refer to PG One in their copywriting. However, the name “Magneto” is copyrighted by Marvel, so Estée Lauder ran the risk of copyright infringement. Also, PG One himself is a controversial public figure. He was also suspected of smoking marijuana and he once disrespected the late singer Yao Beina (who passed away in early 2015 because of breast cancer) when competing with another rapper on stage. 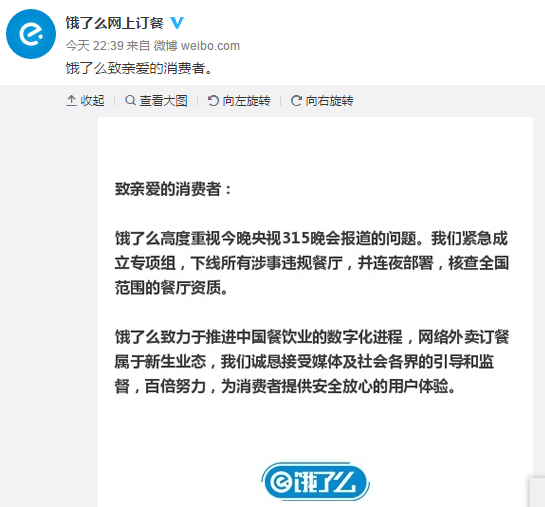 Many Chinese netizens commented under the Weibo post stating their disappointment. In their opinion, PG One’s reputation wasn’t good and this cooperation degraded the brand image of Estée Lauder. In the end, Estée Lauder deleted the Weibo post. With the emerging Chinese social media landscape, brands usually utilize more than one platform for advertising. However, some lack an overall strategy in terms of content and ad spending. There are either too many hard marketing messages or the target audience is constantly shifting. Also, some even spend on advertising without a plan and bet all on a single throw without data tracking and analysis. This makes their social media promotion unfocused and ineffective. 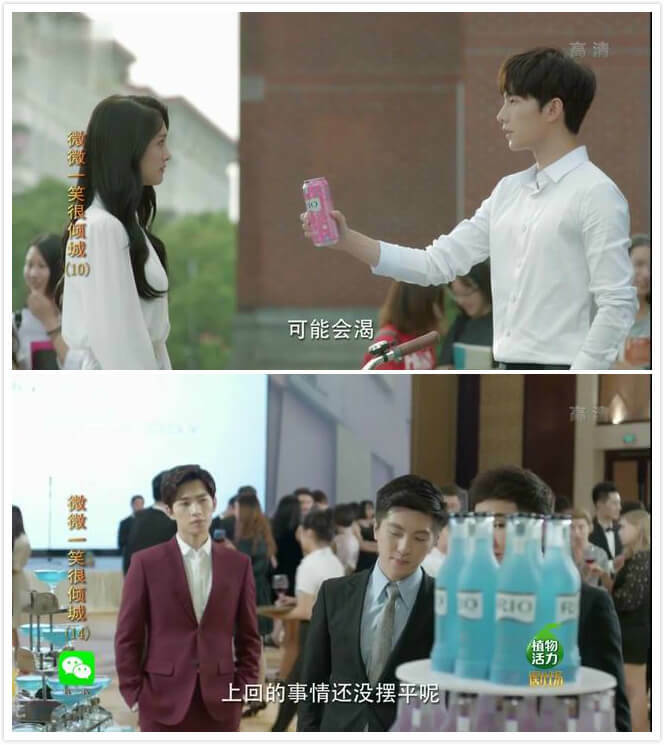 Rio, a well-known alcopop and cocktail brand in China, has sponsored a number of popular Chinese dramas and reality shows, and invited top stars to share content on social media. Yet, when Rio’s market share began to shrink in 2016, they still kept spending a lot on advertising without reconsidering their marketing strategy, which finally resulted in a deficit of 145 million RMB for its mother company. This shows that brands lacking an overall strategy fail to boost sales despite their huge advertising budgets. ↑ Rio sponsored various TV dramas and shows. 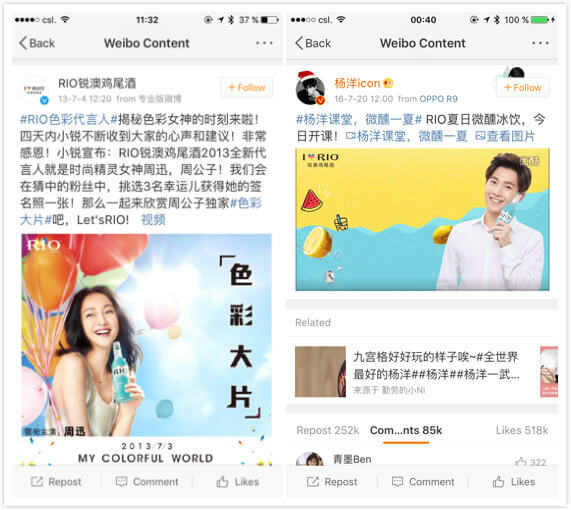 ↑ Rio promoted its product on Weibo with celebrity endorsements, including the top actress Zhou Xun and Yang Yang, one of the most popular young male idols in China. China’s government strictly controls the content and activities in the virtual world and frequently reviews and updates the related rules and regulations. As a result, brands that overlook the changing regulations are banned or blocked, and may also see financial losses. Recently, China has banned Initial Coin Offerings (ICO), which resulted in chaos among start-ups looking to raise money through the novel fund-raising scheme, as well as closure of some ICO-related official WeChat accounts. The removal of relevant WeChat articles gave rise to legal problems related to KOL promotions as ICO brands have signed agreements and paid for those WeChat articles. Social media is a dynamic place where crises happen every day. 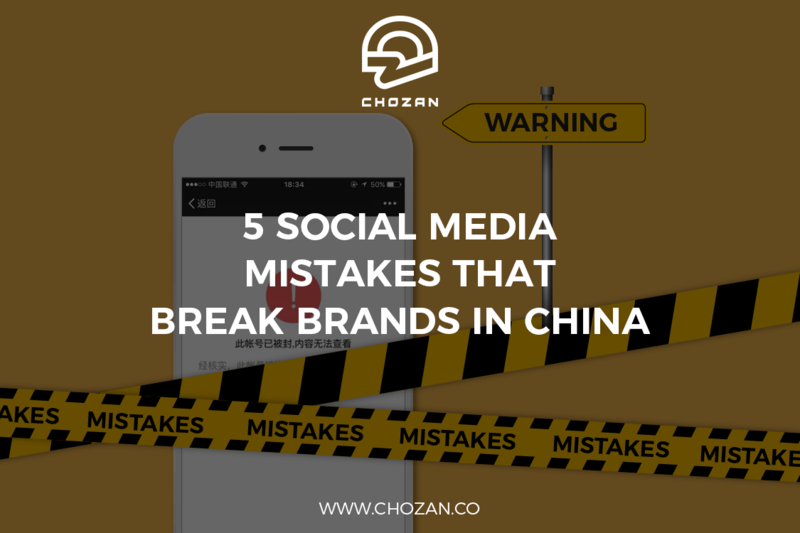 Obviously, there are many more mistakes that brands have made and will make on social media but they should constantly learn from previous incidents and be prepared for potential crises. Without any doubt, crisis prevention is always necessary. Brands have to do comprehensive research before promoting online and do regular social media monitoring to avoid getting into trouble.